It’s nice to be able to show your clients that you appreciate them, and that was exactly what Home & Yacht Linens and Interiors were able to do for their client Ulf Schmidt in conjunction with one of their suppliers, Christy towels. Ulf “Uffe” Schmidt is a former Swedish tennis player and Wimbledon doubles champion back in 1958, and Home & Yacht was able to surprise him with a very special gift. “Ulf is one of our clients” commented Philip Hay, Director of Home & Yacht Linens and Interiors “We have known him for a few years now. 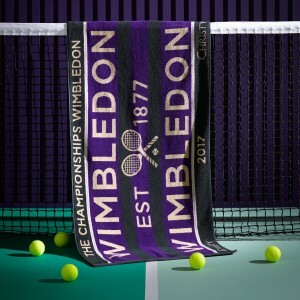 So when we heard that Christy, one of our towel providers, kindly agreed to support our promotion at the Monaco Yacht Show last year by supplying us with some of their Ladies Wimbledon towels, we knew that we had a very special client who would like one” added Philip. 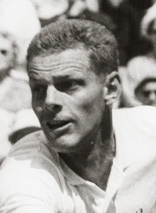 Besides being a Wimbledon champion Ulf was ranked as the world number 8 by the Daily Telegraph, he won 14 singles tournaments at the International Swedish Championships and played 102 Davis Cup matches for Sweden winning 66 of them. Danny and Philip run the Home & Yacht Linens and Interiors showroom in Palma de Mallorca but they work with yachts all over the world and appreciate their close working relationship with high quality suppliers such as Christy.